Before the city ring was introduced in Tilburg, it was easier for guests on the Spoorlaan to reach the shop. 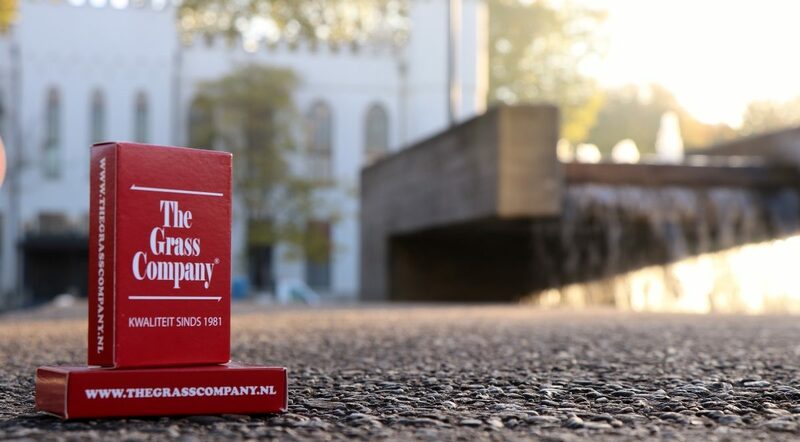 Therefore, a brief explanation is needed of how you can reach The Grass Company Spoorlaan. The complete address of this location is Spoorlaan 360, Tilburg. Through this link you can get automatic driving directions in Google Maps. At present, there are two parking spaces in front of the door. These are paid parking spaces and have a limit of one hour. The parking attendants are very keen on non-paying parkers, so be careful! These short-term parking spaces are great for picking up your gear and leaving immediately. For all visitors the parking lot 300 meters down the road (take a right turn at the traffic lights) is much more convenient. This large parking area is located at the Pieter Vreedeplein and has space for 780 (!) cars. 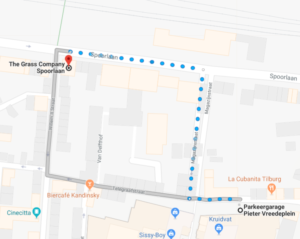 The big advantage of parking at the Pieter Vreedeplein is that there is no maximum parking time and that it only is a four walk minute to The Grass Company Spoorlaan. Below is a screenshot from Google Maps which shows you how to walk to our shop.